Any seasoned investor can articulate the benefits of diversification in reducing the risk of a portfolio. The goal is to remove any idiosyncratic risk associated with a particular security and leave the portfolio only exposed to systemic risk, or risk of the market. While diversification talk can include asset allocation decisions, for my purposes I will only focus within the equity allocation of a portfolio. 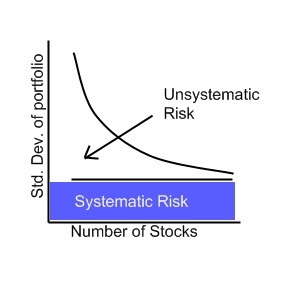 It is generally accepted that holding 20 stocks removes nearly all the unsystemic risk. It is my belief that for the next several years bottom-up fundamental analysts will shine. Quality stock picking has always helped add alpha on the margin even in extremely diversified mutual funds holding upwards of 60 individual stocks. Yet, I foresee the market entering a new phase where individual security selection will play a much larger role in determining portfolio performance. PIMCO's Mohamed El-Erian issued his investment outlook in May 2009 entitled "A New Normal" highlighting his secular view of the world economy. Perhaps he was a bit premature in his forecast and underestimated the initial reflation trade as investors shifted from extremely risk-averse to just risk-averse and the economy rebounded with credit markets thawing. The large bounce off the bottom over the last year was rapid and surprised many market participants and economists. Psychologically, we realized the economy had successfully avoided a depression at the same time the effects of the extraordinarily expansionary monetary and fiscal policy kicked in to jump-start growth. Now, after seeing major upticks in GDP growth and a 70% equity market rally, it appears that we are stabilizing and beginning to enter the new normal, 3-5 years of lower expected returns. 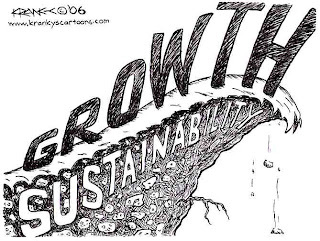 The new normal will be an extended period of time characterized by muted economic growth, private sector de-leveraging to repair their balance sheets, re-regulation of private industry particularly finance and de-globalization as countries focus inwardly on domestic issues. The broad economic climate will be one fraught with a continuing battle against deflationary pressures. In this environment, consumers will be forced to be increasingly discriminative in allocating their purchasing power. While it's said that a "rising tide lifts all ships" I would argue that over the next few years this will not be the case. Select companies will continue to do very well but many will stall. The last several decades have been times of steady deregulation, the privatization of telecommunications and airlines, the repealing much of Glass-Steagall, and removing leverage limits to name a few. I believe the pendulum is swinging back in the other direction. Calls for greater government involvement in private industry are widespread and persistent. Health care reform recently passed changing insurance rules and mandating insurance coverage of an additional 30 million people. Financial reform has passed both houses and the final bill's passage is just around the corner. While all the details are not entirely clear, the final form will likely work to reduce balance sheet leverage, make banks more liable for losses, force collateral on some derivatives, grant consumers greater protection and split off risk-taking activities in commercial banks. All these efforts will stabilize the sector over the long-run but reduce short-term risky and lucrative profits. The SEC and Justice Department investigates will hang as dark clouds over many major Wall Street firms until all fines have been handed down. The oil spill by BP (NYSE:BP) will have drastic consequences for the oil industry, in particular off-shore drillers. The spill in the Gulf is now the worst man-made disaster is US history. Clearly, this will not end without significant government involvement in the industry going forward. Comparisons to the regulatory backlash against nuclear companies after the Three Mile Island accident are very worthy in this case. In the coal industry the explosion in the Massey Energy mine will put pressure on safety regulators to enforce stricter rules. Without going into too many specifics and not taking any political stance, I believe we are entering a climate of increased regulation. While this may be stabilizing in the long-term, I see it as hurting profitably as well as heightening uncertainty about the future prospect of various industries. The Morgan Stanley European Strategy desk released an excellent graph in "The Aftermath of Secular Bear Markets" in August 2009 showing a composite of the last 19 major bear markets around the globe. The graph presents a very clear picture of the typical scenario historically and reviewing our path shows striking similarities. Based on this historical composite, a range bound market is to be expected. In this scenario the range will be large and there will be a great deal of opportunity, but the market as a whole will not gain or lose ground. A stagnating economy with range bound index prices indicates that major divergences are likely to occur between various sectors and firms within the index. Apple is selling an iPod every three seconds but good luck to Dell or HP selling any of their upcoming tablets. Consumers will still be willing and able to spend on products they like but as they pare down debts and boost their savings they will be forced to keep their wallets shut more often. In 2008, it was largely irrelevant if a money manager understood the sound fundamentals of a particular company. Correlation rose, volatility soared and every sector and stock was dragged down in the financial panic. Likewise, the initial 70% surge off the lows rewarded anyone invested in nearly anything. Granted, financials outperformed off the lows but an investor had to be willing to take the risk of the company seeing zero had the government not backstopped them. Times have changed though. I do not know if we are due to continue lower to complete the 25% correction before ranging. Perhaps the range is now beginning. In general though I expect lowered economic growth overall and greater divergences between sectors which will lead to a more range bound market. The importance of individual stock selection will rise and more concentrated portfolios will perform the best as investors avoid poorer quality firms. Over the next few weeks, I will be highlighting a dozen or so companies I like and putting together some deeper research.